We are delighted to have received our new company van with full livery. Keep an eye out for it on the roads as it will be heading out to sites around the country. The van is a great addition to our company allowing us to transport components to sites for some of our smaller jobs. Primarily going to sites for LEV testing and servicing it will enable our service engineer to be more self-sufficient and carry a wider range of spare parts. 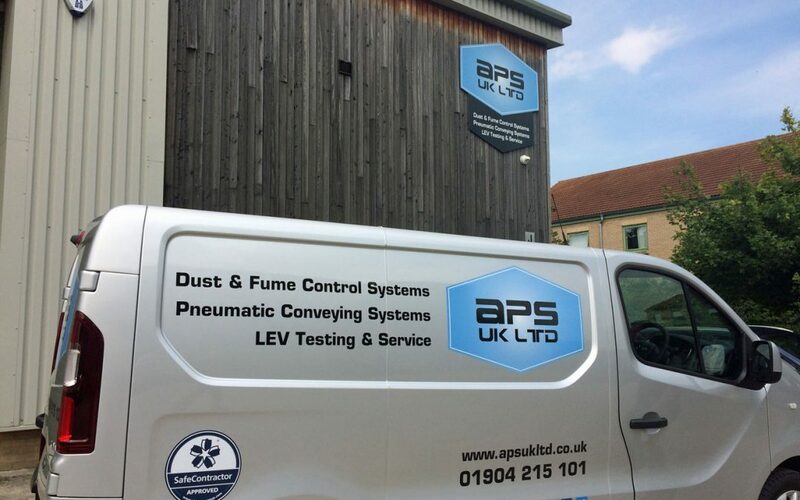 APS UK can provide a wide range of services for your company, dealing with dust extraction, materials handling, pneumatic conveying and LEV Testing and Servicing. Our experienced team can help with design consultation, site surveys and installation. We can help find cost effective solutions for your problems whilst using quality materials. If you would like a free quote please contact us at sales@apsukltd.co.uk, call our office on 01904 215101 or fill out our form click here.